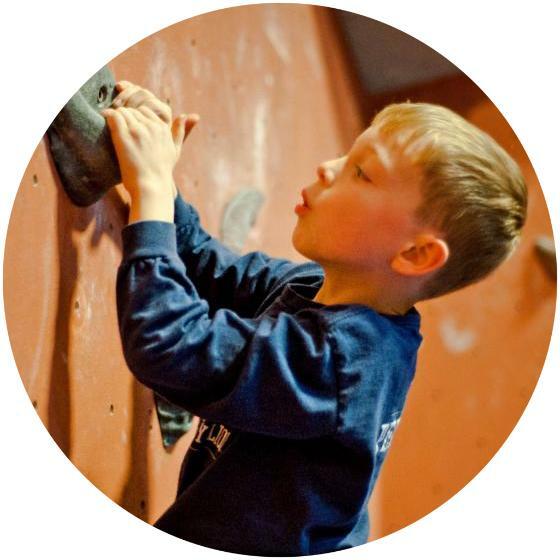 Kinder Climb is designed to give children ages 4-5 the opportunity to become more confident on the climbing wall while strengthening communication skills, learning to problem solve and work together. For one hour each week, little climbers will also learn very basic but essential climbing specific skills such as knot tying, footwork, body positioning & movement, as well as goal setting. 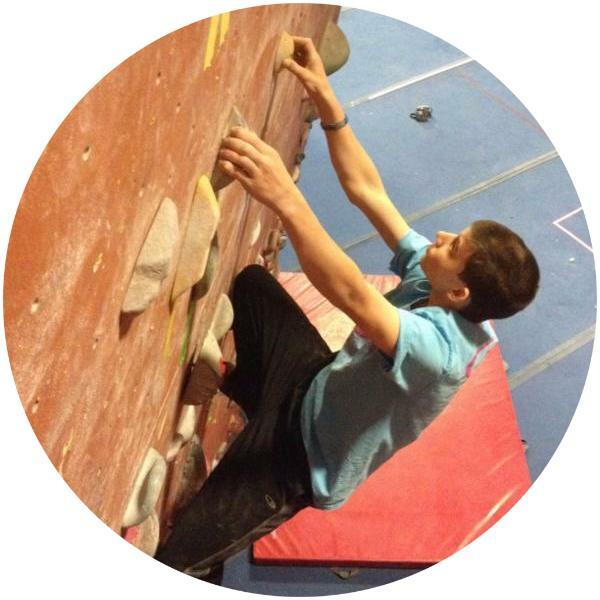 Spend your Friday nights doing something exciting: rock climbing! Kids Night offers unlimited Top Rope climbing. 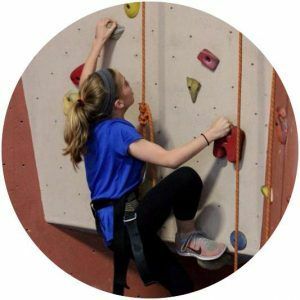 Kids Night is geared towards all skill levels so grab your friends and get on the wall this summer! find out if AKC is right for your child. Must call PRG to register for AKC at 877.822.7673! PRG Club Team & Jr. Team climbers: Stay sharp, stay strong and continue to master advanced climbing skills in Summer League! Whether you are looking to stay active this season or are working towards Team PRG in the fall, Summer League is a great fit. find out if Summer League is right for your child. Must call PRG to register for Summer League at 877.822.7673! To sign up for Summer Kinder Climb or Summer Kids Night call 877.822.7673 or go online at the links above. No online registration is available for Summer AKC or Summer League at this time. Please call our staff at 877.822.7673 to sign up for those programs over the phone. Do I have to sign my child up for the whole summer? No. While PRG does offer a full summer package for all programs, Summer Sessions has flexible scheduling and pricing for busy families. If you bought a package of classes for your child, you can select which dates your child will attend at the time of purchase. You can also select dates on a week by week basis throughout the summer. Please call our staff at 877.822.7673 at least 24 hours in advance to sign up for a class and apply the cost from a purchased package. Any classes that are purchased but not used are forfeited at the conclusion of Summer Sessions. No classes will be rolled over to next summer. Please see our cancellation policy below for more info. I’m not sure my child will enjoy rock climbing class, do you offer trial classes? If it is your child’s first time climbing in a PRG Youth Program, you can request a free trial class by emailing kids@philarockgym.com! Is any prior experience necessary? No! We have Summer Session programs for kids of all experience levels–from first time climbers to veteran competitors. Give us a call or send an e-mail to find out which program is best for your child. My child participated in Kids Climb, which summer program is best for him/her? All Kids Climb students are encouraged to participate in PRG’s Kids Night program and/or Summer Camp programs. Climbers may move up to Advanced Kids Climb (AKC) if all requirements have been met on his/her skill checklist. 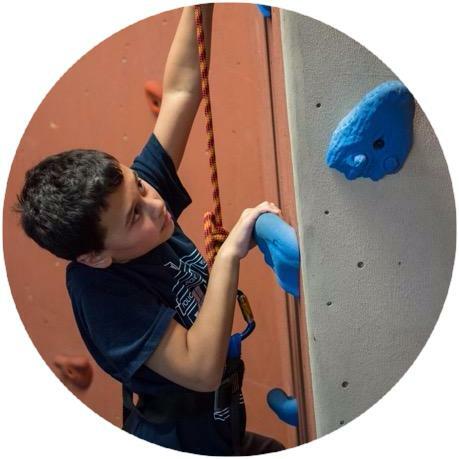 To schedule a climbing skill evaluation for AKC, please contact kids@philarockgym.com. Does my child need to bring his/her own equipment? No. Equipment rentals are included in the cost of Summer Sessions. What kind of clothes should my child wear? We recommend non-restrictive, athletic clothing. Do you have to be a PRG Member to participate? No. The cost of the session includes climbing time and equipment rental, as well as expert instruction. However, PRG Members enjoy discounts on all youth programs and camps at PRG! Are there any other requirements for climbing at PRG? All participants must have a completed waiver form, signed by a parent or guardian if the participant is under 18. All participants are guests of the PRG and are required to obey all PRG rules. I am an Annual Pass holder, how do I sign up for Summer Sessions? All Kids Climb, AKC and Club Team Annual Pass holders can sign up for the Summer Session class times of their choice by calling 877.822.7673. Due to the limited number of available spots, Summer Session dues are non-refundable. In case of cancellation, a credit for the full amount will be offered which does not expire and can be used toward other products or services at PRG (excluding private lesson and contract dues). Any classes that are purchased but not used by the conclusion of the Summer Session will be forfeited. No classes will be rolled over to next summer. To request a credit, please email kids@philarockgym.com. If you’ve already registered but wish to switch to a different class day or time, every effort will be made to accommodate at no additional cost. Please note: since each class has a limited number of available spots, we cannot guarantee availability for a different date. To switch class days or times, please call our staff at 877.822.7673. If the buyer wishes to cancel this Contract before the initial term has been completed for reasons outside of injury or moving 20 miles away, he/she will be responsible for a penalty fee. For Seasonal or Annual Pass holders, if more than 6 months respectively remain on the contract term, the buyer is responsible for all outstanding dues not to exceed $100. If less than 6 months respectively remain on the contract term, the buyer is responsible for all outstanding dues not to exceed $50.